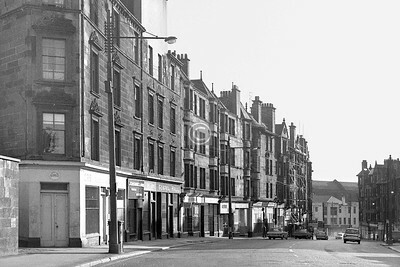 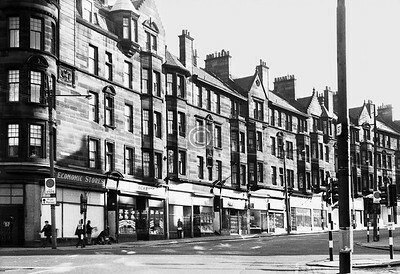 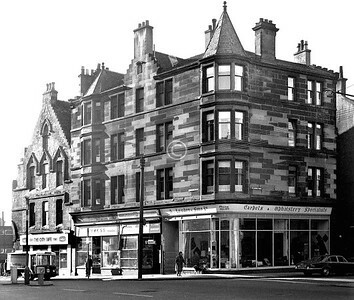 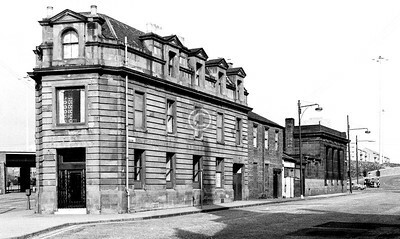 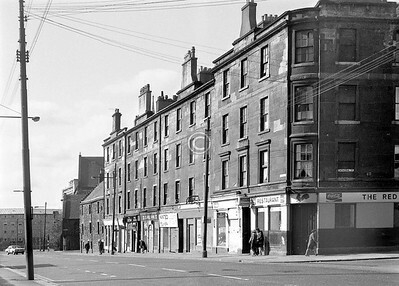 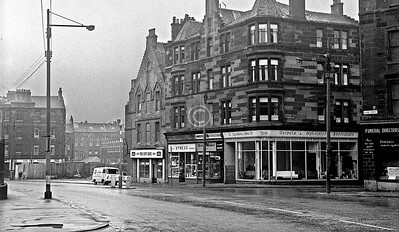 George St and High St Goods Sta.April 1973Around 1968 there was published the Greater Glasgow Transportation Plan (something like that) which proposed a complete motorway-standard inner ring road. 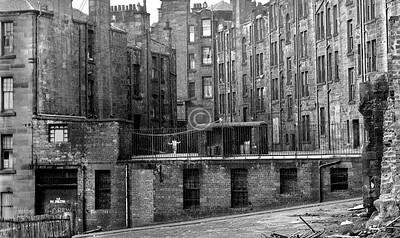 The east flank of this was to consist of an elevated section of up to 6 lanes, striding at roof-level through the ancient heart of the city, from the Low Green to Townhead, and the north and west flanks were built with this in mind. 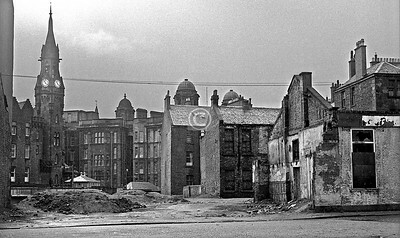 There's a nice map here which shows the plan - http://pathetic.org.uk/unbuilt/glasgow_inner_ring_road/maps/In 1973, despite the chorus of protest which eventually prevailed, there was still a real prospect of this outrageous nightmare vision being realised, and it was this that gave me the motivation to record what was threatened with obliteration. 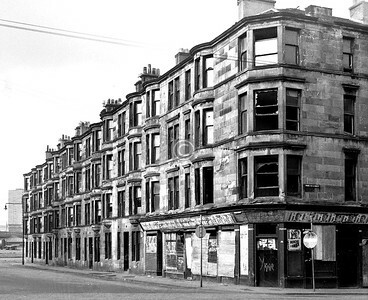 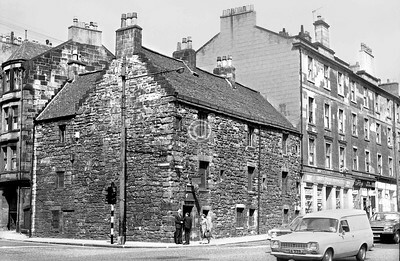 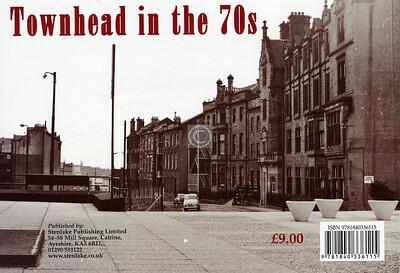 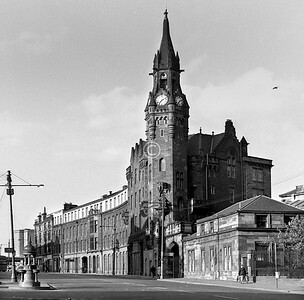 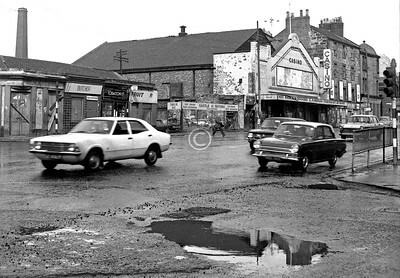 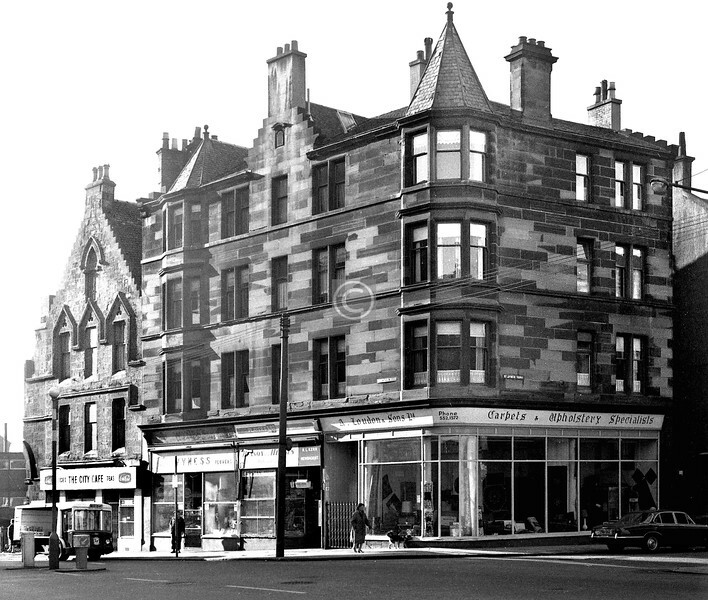 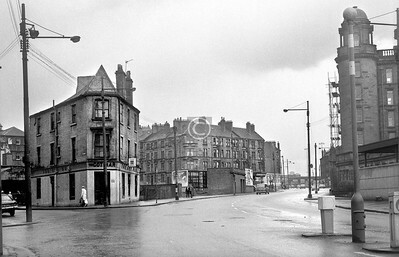 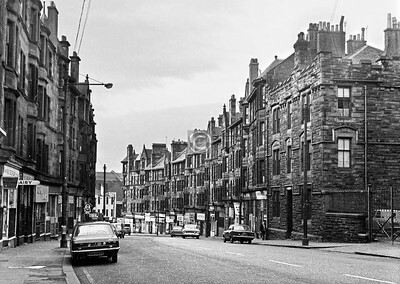 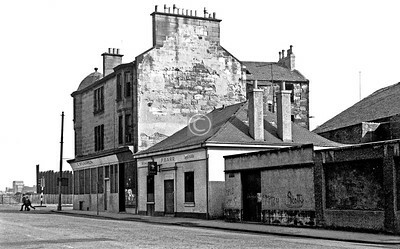 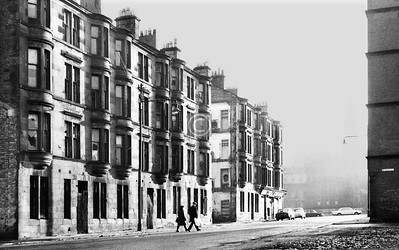 The several hundred photos of Glasgow in the 1970s which are shown in the various galleries here derive from this. 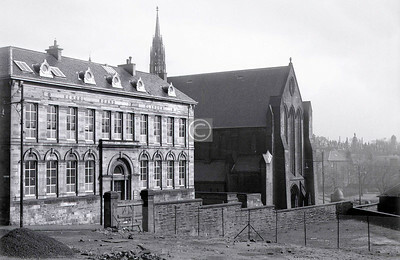 Rottenrow.Townhead School and the Barony Church. 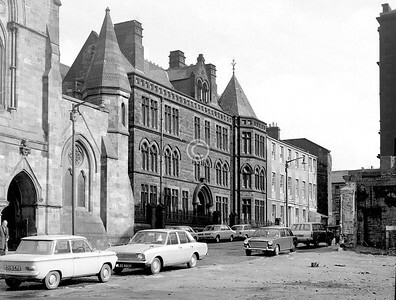 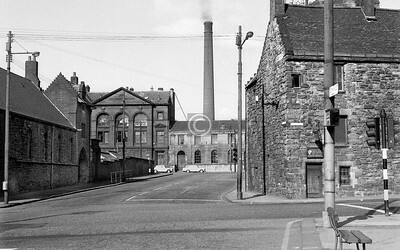 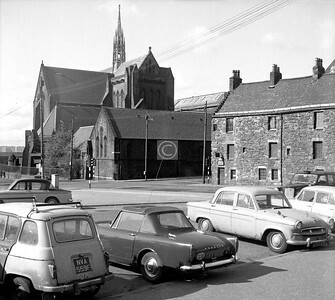 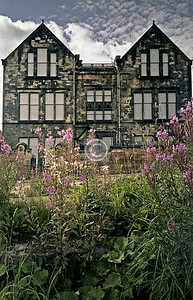 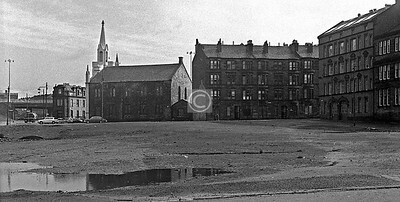 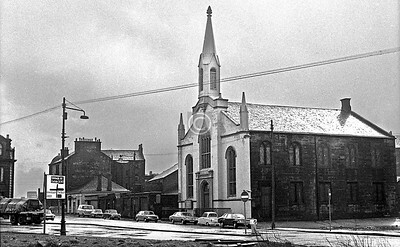 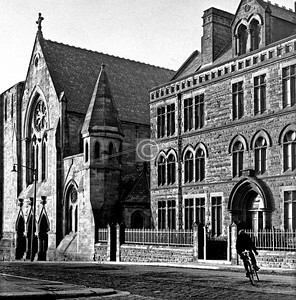 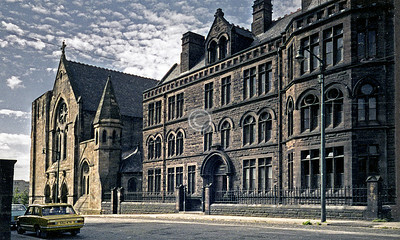 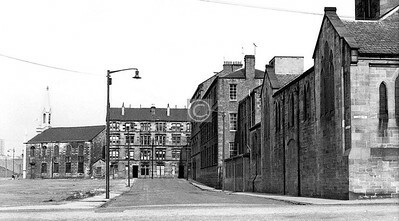 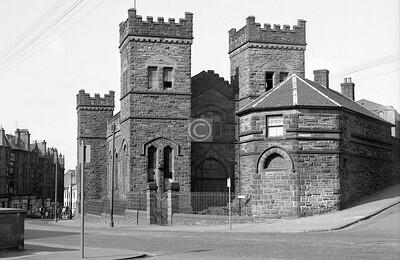 The Townhead School survived until comparatively recent times, but is now a car park for Strathclyde Uni, who own the Barony Church and hold graduation ceremonies in it. 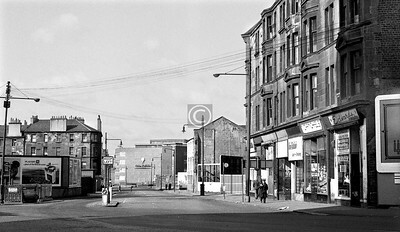 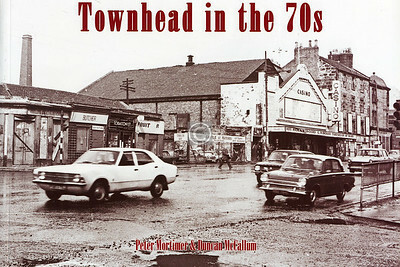 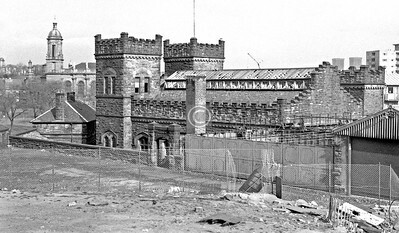 March 1973The Townhead area bounded on the south by the Rottenrow and on the east by Castle St, densely populated up the the mid 1960s, was almost totally cleared, some of it for the M8 and the Townhead interchange, some for the expansion of the university, and the rest because . 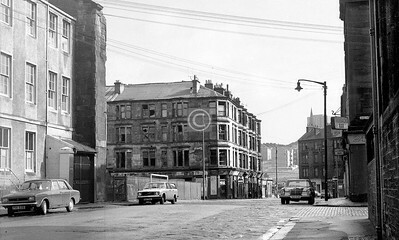 . . well, just because. 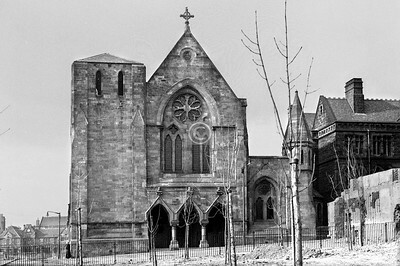 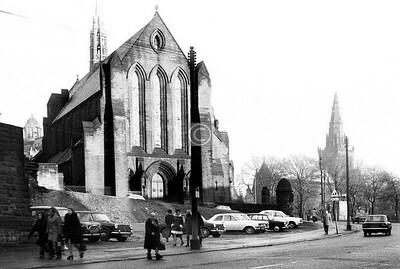 Only a handful of buildings survive – the Barony Church, Provand's Lordship, St Mungo's Church and retreat, and the Martyrs' School (saved, only just, by the Mackintosh connection) and a few others. 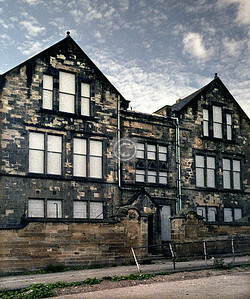 In 1973 the devastation though widespread was not quite complete, and I set out to record such fragments as were left. 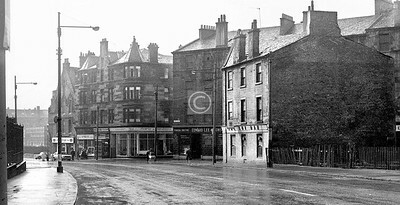 Corner of Castle St. and St James Rd.